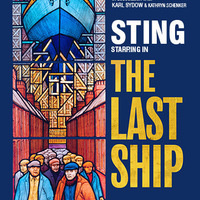 The Last Ship is the heartfelt and empowering new musical by multiple Grammy Award® winner Sting. Featuring original music and lyrics by Sting as well as a few of his best-loved songs — Island of Souls, All This Time and When We Dance — The Last Ship is coming to Toronto from a critically acclaimed UK and Irish tour. You are having a http://jyalaw.com/personal-injury-law.php useful web site through which people are able to read and understand different topics in depth. This site provides the best option for the readers to make the discussion live and can communicate with other users through this site is an advantage. If you are here to know about all those guidelines http://syncsettingswindows10.com by which you can synchronize settings windows 10 and will also provide you methods to use them in another windows 10 smoothly and systematically.